J. B. Reed Transfer and Storage – JB Reed Transfer and Storage was one of the oldest operator of moving trucks in Minot. They got their first truck, a Winton, in 1911. The crank on this vehicle was on the side. After the driver cranked it and got it started, he would most likely have to run after and catch up to the moving truck. Eventually Reed Transfer went to using GMC and International trucks. Before that, some of the trucks they had were a Republic, an Overland and a Maxwell. In 1933 , Reed Transfer became the agents for Aero-Mayflower Moving out of Indianapolis. Cliff Reed was also a lover of fine cars. In 1934 when President Roosevelt was in Devils Lake, he was chauffeured by Cliff Reed in his Sport Model Buick. 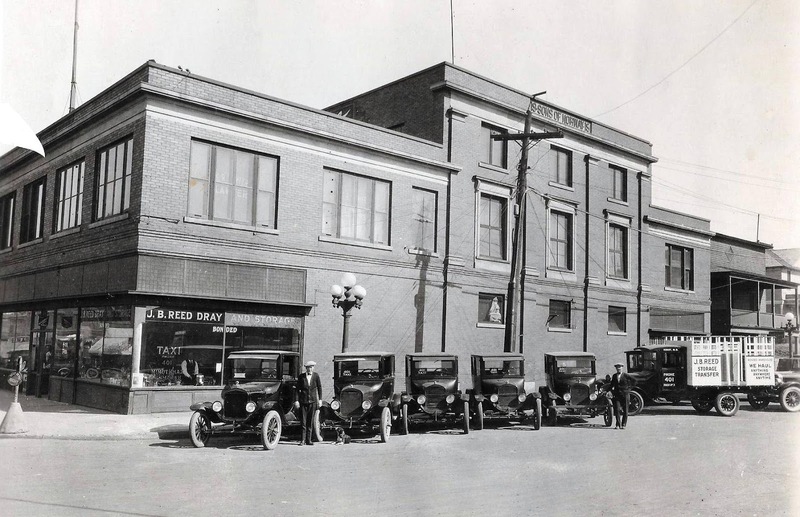 He was and his car also chauffeured the Mexican ambassador to the United States in 1935 when he was visiting Minot. Pictured below is a Dakota Transfer truck from the 50’s .